U of O ranked #1 in the AP in football...true or flukey? Re: U of O ranked #1 in the AP in football...true or flukey? 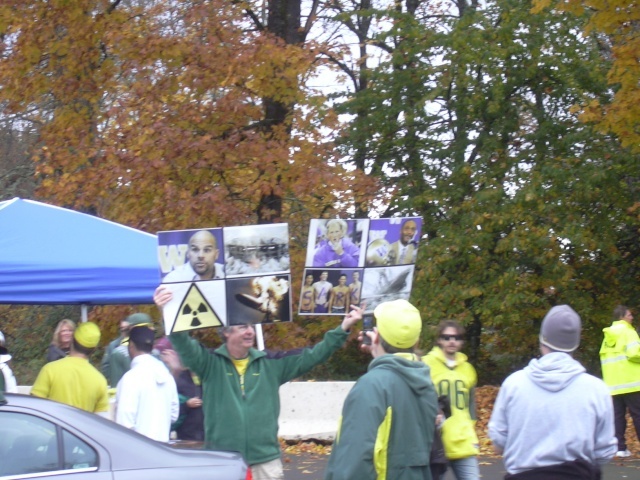 Since UW is comming to Autzen this weekend, here is a little video for OTF and DTR. How about last years game. Interestingly, neither of those two quarterbacks will be playing this year. blacksheep wrote: How about last years game. 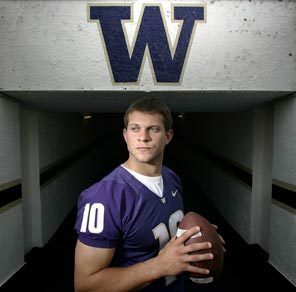 I bet the Ducks use their backup QB too. Maybe even the 3rd string guy like in the New Mexico game. This play is called "start slow, let 'em think they have a chance, then crush their hopes and dreams." Washington State has the second toughest schedule, so the Beav's must be at least as good as the Coug's. It certainly wasn't the Ducks intention to have a weak nonconference schedule. Tennessee is a good SEC program that just happens to be down this year. New Mexico was always a winnable game, but the Ducks certainly didn't expect them to be as bad as they are. Portland State was only scheduled because of a last minute cancellation by another team. The Ducks have historically scheduled good nonconference teams. Next year they are traveling to Texas to play the Mad Hatter's team. Ducks are getting their biggest challenge at Cal...only leading by 2 pts in the 4th: 15-13! And that's a final, 15-13. Tough gutty drive to run out the clock and seal the victory. Ten wins, no losses. Great season so far. One more home game against AZ, and then a trip to face the deflated Beavers. Great chance for an undefeated season. Actually seems like a story about nothing, but come on James, everyone is watching every move. You need to think about how it looks. Anyone know what Joey Heisman was rolling around in when he was at UO? Hmm, I've never heard of that fuel, so I had to google it. This is what I came up with . . .
Oh boy, you guys just crack me up! Seriously though, it really does seem like this is a non-story. I mean, a 2000 mustang upgrading to a 2003 range rover? Heck, I drive a nicer car than that! But, you never know what the NCAA will latch on to. Interesting that it took the NCAA about a million years to investigate Cam Newton getting paid hundreds of thousands of dollars, but a few days and they are on a plane to Eugene to make sure James is driving an appropriate car. Well, I don't take any pride in Stevens...or any of the Nieuheisal era for that matter. I personally don't feel like the infractions in the Dawgfather era were nearly as bad...though some might disagree. Wow, has it really come to this? One Civil War game for a trip to the national championship? Go Beavers. Yup. Amazing to me what the Civil War has on the line. The last few years have had the conference championship at stake. Such a huge change from the 80's. I went to the '82 game, where UO won in Parker (pre Reser) to get their 2nd win of the season.